The Big Game is fast approaching but let's be real, I care way more about what we're going to eat than football. Haha! Don't kill me. But seriously, half the fun of gathering with your friends to watch the Championship is the food you eat at Half Time. 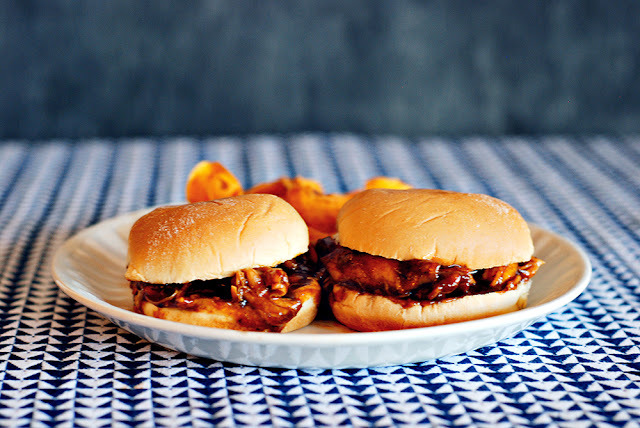 I thought I'd share my family's favorite easy Game Day BBQ chicken sliders recipe with Pepperidge Farm Sliders Buns. They're seriously EASY to make and so, so good! 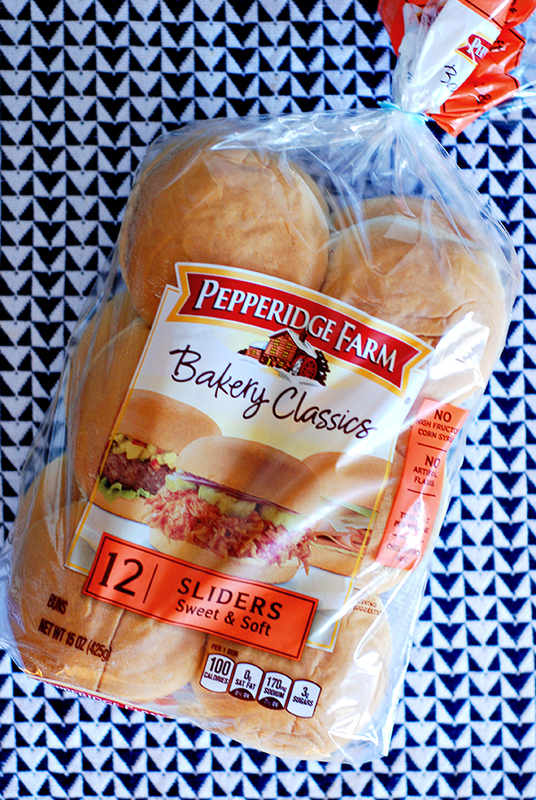 Pepperidge Farm Slider Buns Party-size pack (12-count). They're always baked the right way with special touches and the widest variety of yummy flavors, including White, Sesame, Potato, Sweet & Soft, and Wheat. Enjoy this $1.00 OFF coupon! Listen, I am ALL about quick and convenient, so cooking party food isn't any different. Wake up, have a cup of coffee and breakfast before you start. You have plenty of time! Prep takes about 5 minutes and it'll cook while you spiff up the place. 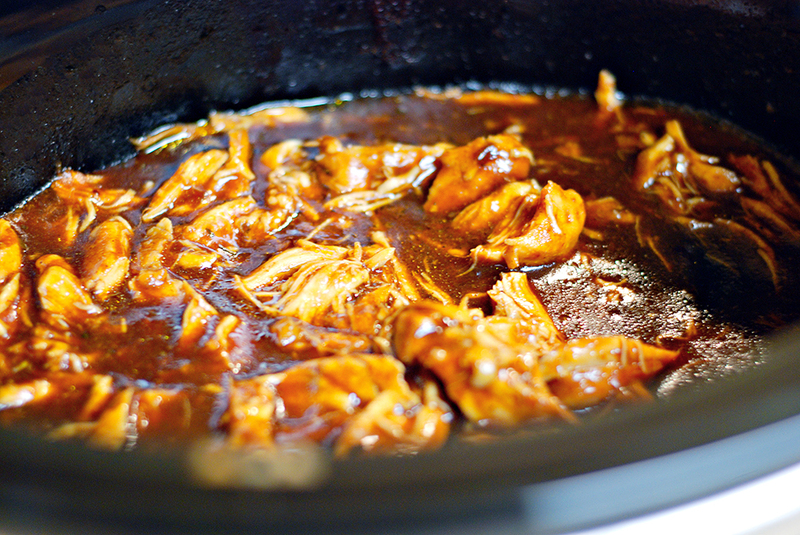 Place chicken tenderloins in the Crockpot (or similar). You don't have to have marinated over night, although you're welcome to, of course. 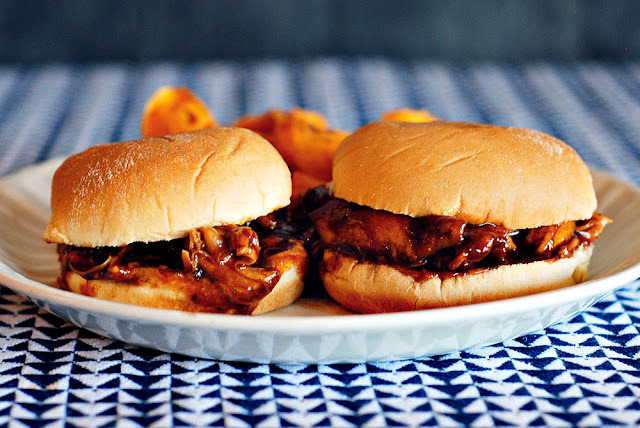 I just pour in and completely cover the chicken with the BBQ sauce. I make sure to move everything around so that sauce gets on the bottom too. Cover and cook on high for 2 hours. When it's been cooking 2 hours, take off the lid and very carefully shred the chicken using two forks. Mix well into the sauce and re-cover for 1 hour on low. Some people like toasted buns, which you can do in the toaster oven or bake just before the chicken is ready. These slider buns are fantastic straight out of the bag! That's it! I told you it was easy! Pull the Crockpot dish out and set it up on your serving table with a variety of Pepperidge Farm Slider Buns and delicious sides. It's sure to be a hit! 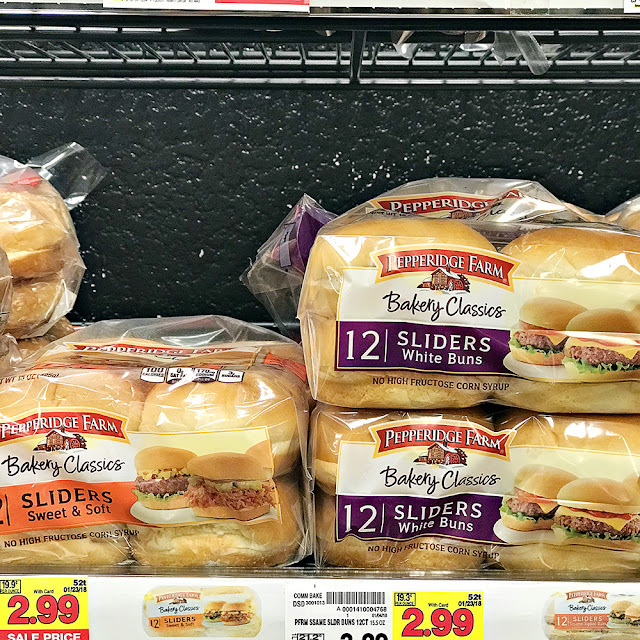 Don't forget to grab your $1.00 off coupon before you head to the store, and check out these other Big Game slider ideas!